Visiting countries can be a very different experience depending on where you are coming from. 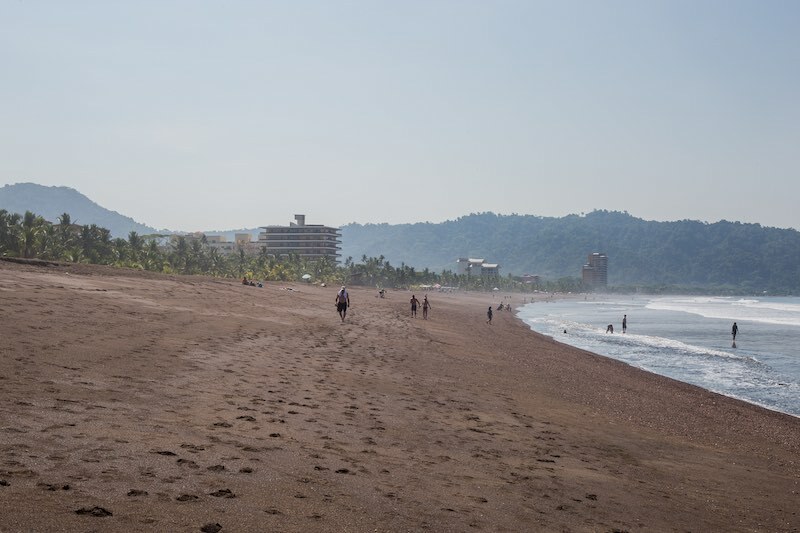 In this guide, I will be writing about my experiences with Costa Rica as a Canadian. 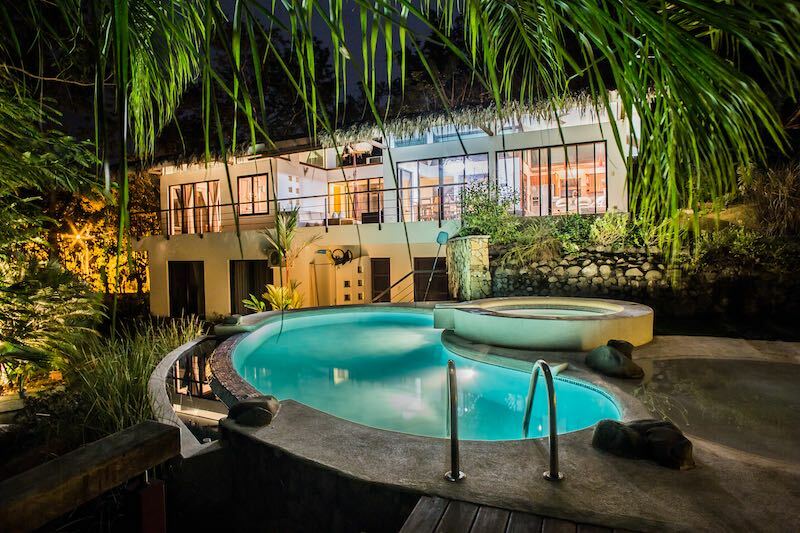 I will go over reasons to visit Costa Rica, things you will need or not need, flights, car rentals, money and briefly, where to stay and what to do. Costa Rica (Rich Coast) is a country in Central America situated between Nicaragua and Panama. The East coast of the country is on the Caribbean Sea while the West coast of the country faces the Pacific Ocean. The population is around 4.5 million with 1/4 of that living in the country’s largest city, San José. The local currency is the Costa Rican colón. At the time of this posting, $1 Canadian was equal to 434 Costa Rican colón. Although the country has its own currency, American Dollars are accepted everywhere, great to know if your local bank does not have the currency on hand when you need it. 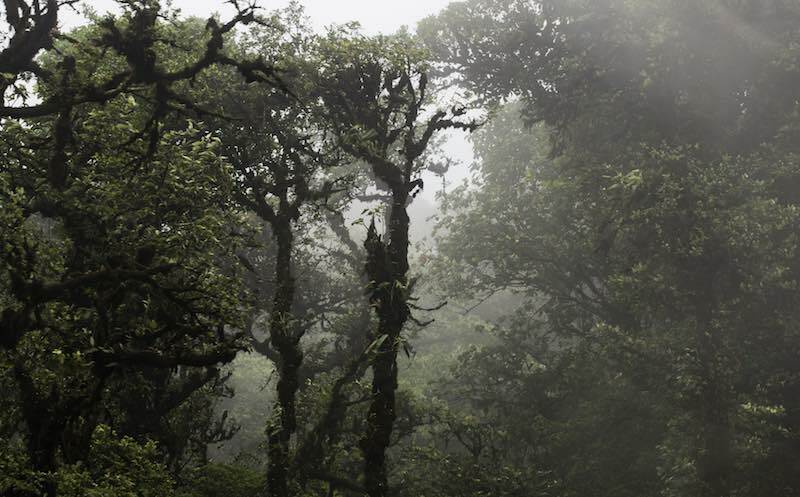 Costa Rica is a great place to visit from Canada for several reasons. From costs of flights, the ability to fly direct, no visa requirements and more, I will go into all of the draws of coming from Canada. The best reason? It’s so cheap to fly! A friend that was going to come with me paid $240 return all in. Yes, that is correct and not a typo. He paid $120 each way. Prices average in the $300-$600 price range for a return trip. It is also possible to get direct flights that do not stop in the US. A bonus for those not wanting to go through that hassle. Flights inside our own country are often more expensive than this which is mind-boggling to me. 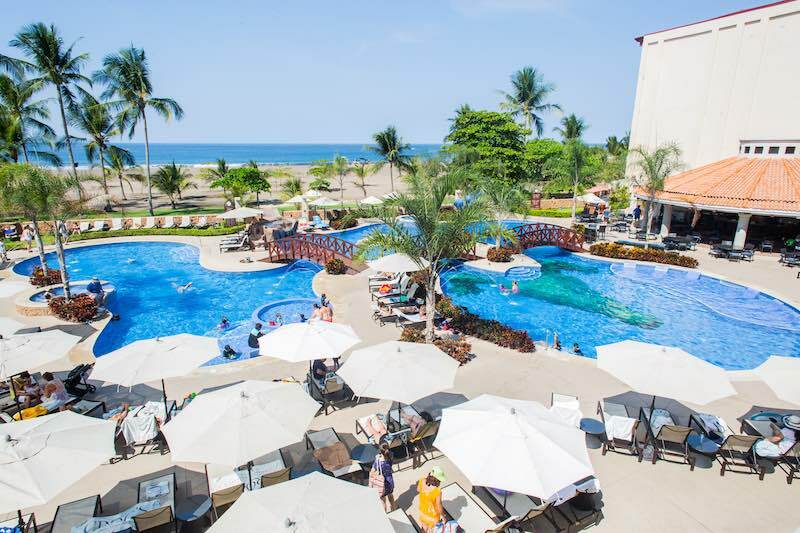 Visas are not required to enter Costa Rica if you have a Canadian passport but all visitors must have an entry and exit ticket, whether it is by air or by land, as a requirement to enter the country. This is great as it eliminates one extra thing from the to-do list. 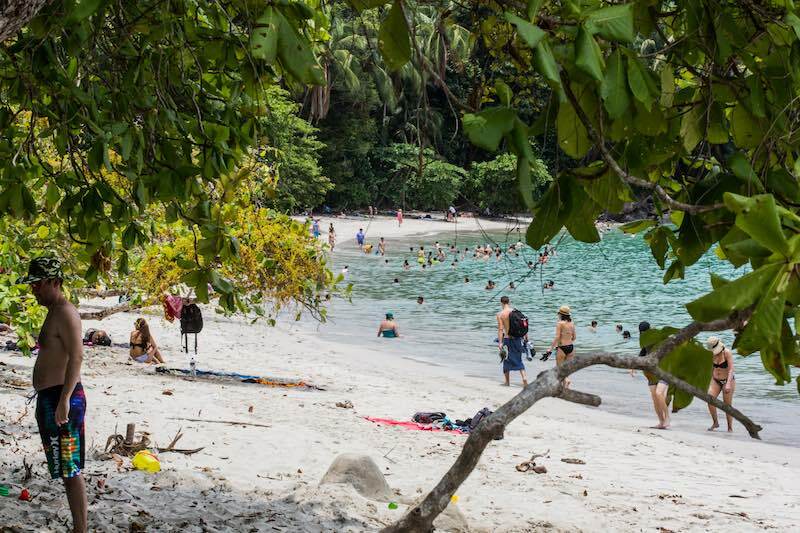 A last minute trip to Costa Rica is always on the table. Environmentally friendly and want to put your money where your mouth is? 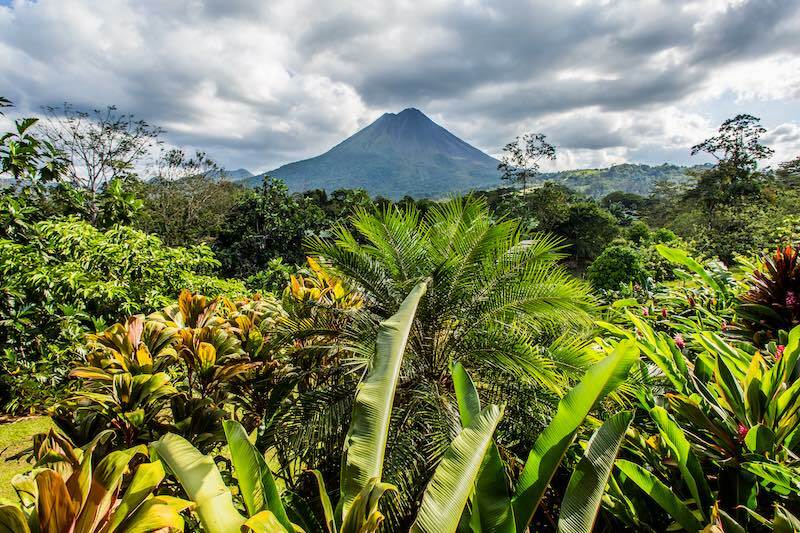 Costa Rica is one of the greenest (literally and figuratively) countries in the world. It runs entirely off of renewable energy and is the only country to meet all five UNDP criteria established to measure environmental sustainability. In 2012 it banned recreational hunting, drilling for oil is banned and it plans to be carbon-neutral by 2021. 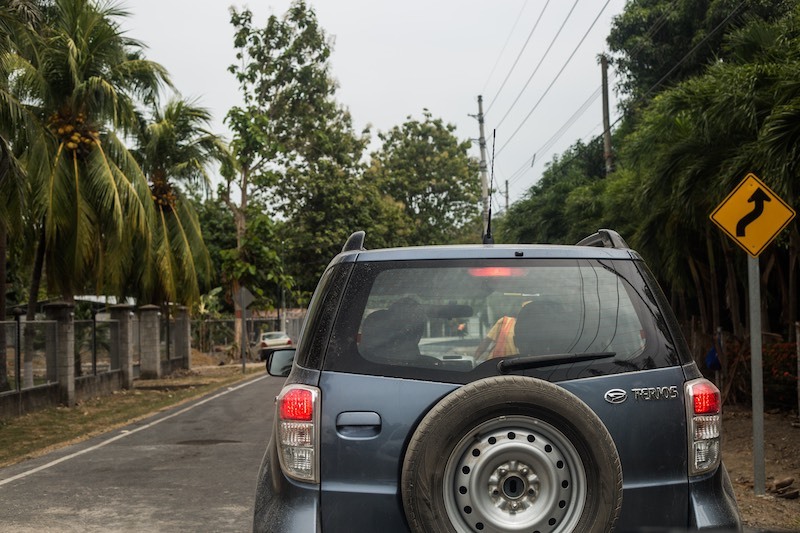 In Costa Rica you can drive with your regular driver’s license for 3 months and will not require an international license for a trip that is less than that. The major highways are well maintained but many of the side-roads are very rough. I would highly suggest renting a 4×4 to avoid your car getting stuck. 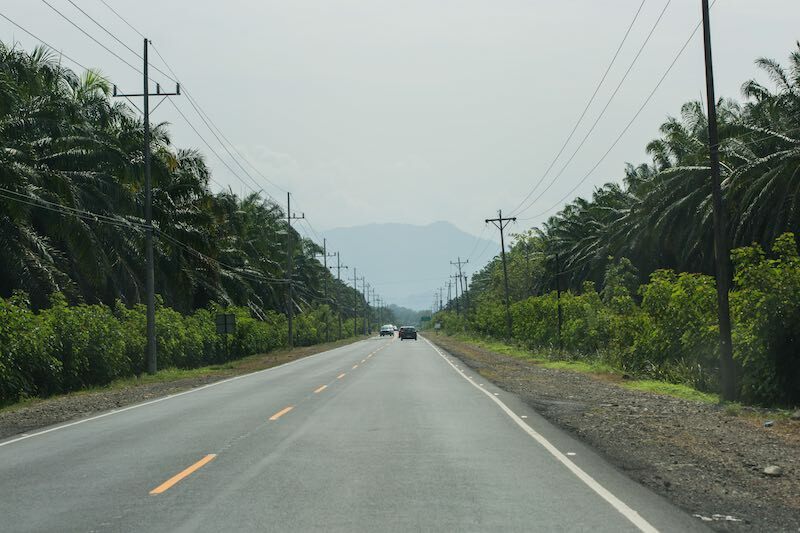 The speeds in Costa Rica are a lot slower and even on highways the speeds were mostly 80km/hour. The rough roads and tranquil lifestyle make for a lot slower driving in general. Plan for longer journeys than expected! 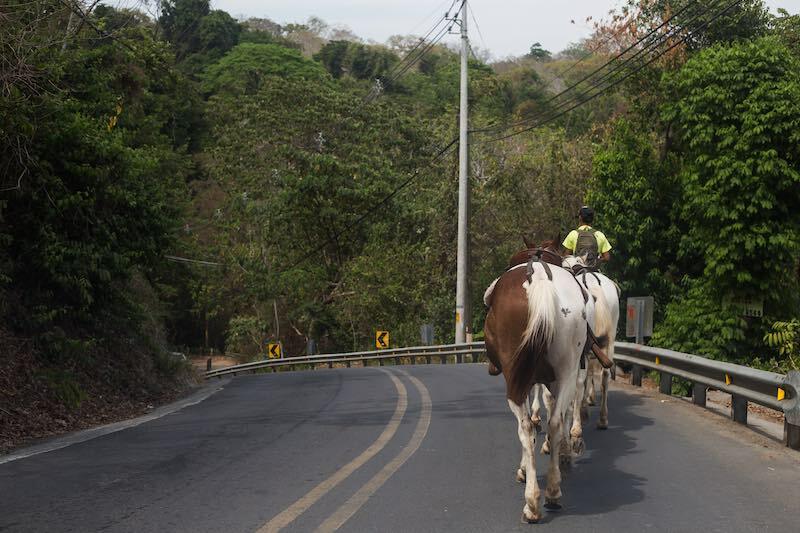 Renting cars can be very expensive in Costa Rica, this is not a cheap country by any means. 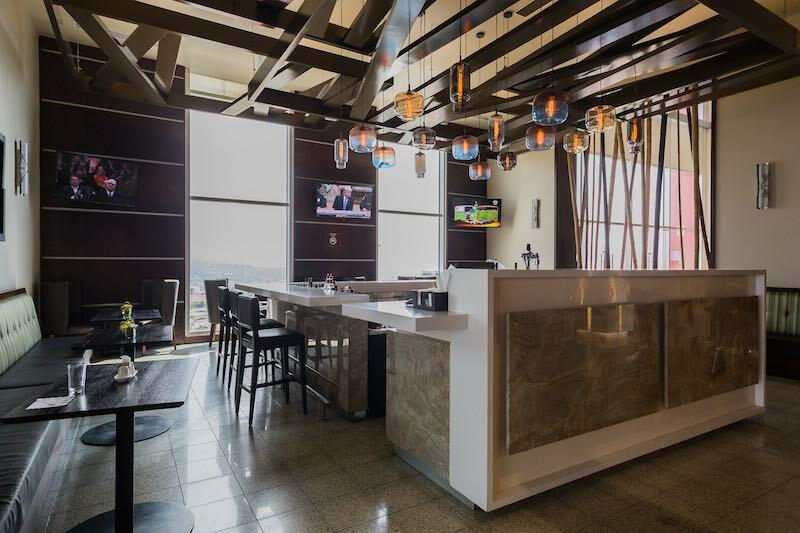 Food, car rentals, hotels and hostels are on par with Canadian prices. The rental place I used was Toyota Rent-A-Car. This company seemed to be everywhere I went. Even some smaller places like Montezuma had a company presence. I pre arranged a rental of a 4×4 and it was about $80 /day including the insurance and the day rate. The car was dropped off to me at the place I was staying when I arrived and was picked up from a different address at the end of my trip. The service was very good and I would use them again. 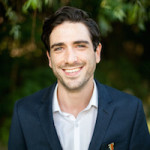 Many people told me about issues and costs with their rental company so make sure you go over everything before coming to an agreement, no matter who you choose to rent with. Gas prices range from around 500 – 700 colón ($1.25 – $1.75) per litre. If paying with American dollars, they will calculate the exchange rate and give you change in colón. A bohemian lifestyle town, hippies, yogis, the people of the trees! 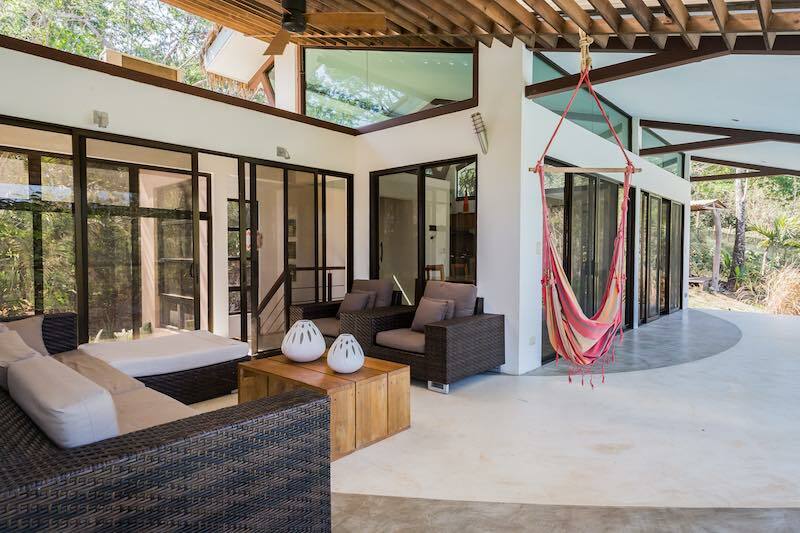 This tranquil piece of heaven lies across the Gulf of Nicoya on a peninsula that jets out from the west side of the country. To access Montezuma from San Jose, one must take a ferry from Punta Arenas to Paquera which takes about 1.5 hours. You can take cars and trucks on this ferry. The drive from Paquera to Montezuma is about an hour. 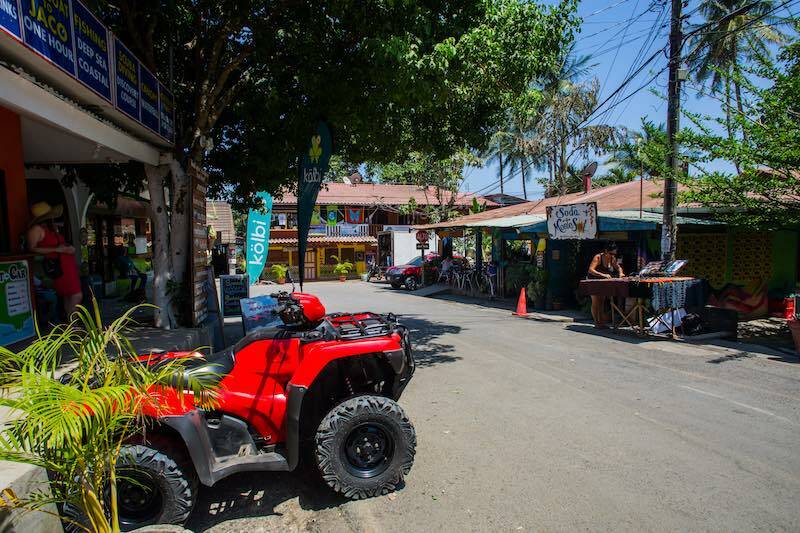 The main town of Montezuma hosts several bars and restaurants, a tourist desk a general store and a bunch of hotels and hostels. 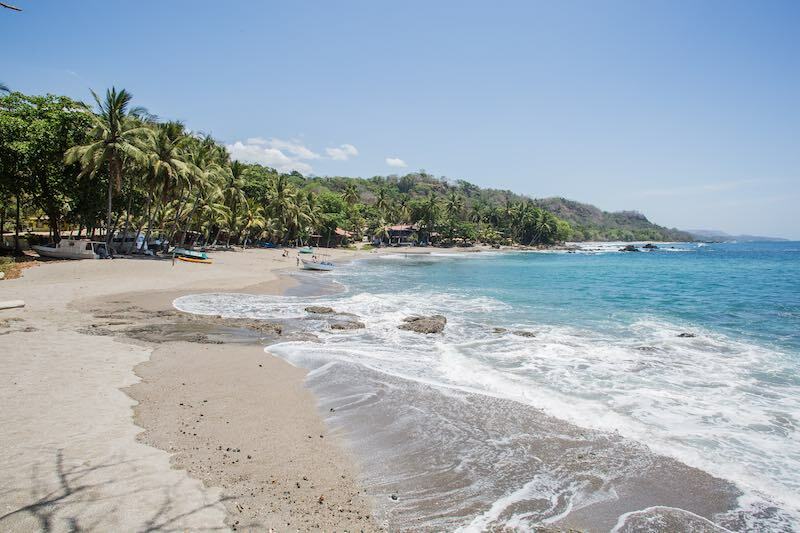 It is also situated on the beach of Montezuma. The area is also home to a couple notable attraction. Montezuma Falls is located here. A path from one of the main roads in town leads up the river to a swimmable pool that the falls continuously feed. People from around the world come here to see this place. I also got to try out my S7 and its waterproofing for some video footage. The town of Montezuma also features a butterfly sanctuary. Mere days before I arrived, a bird had gotten into the enclosure and decimated the population. The distraught keeper said that 16 of the 20 species had been wiped out almost overnight. 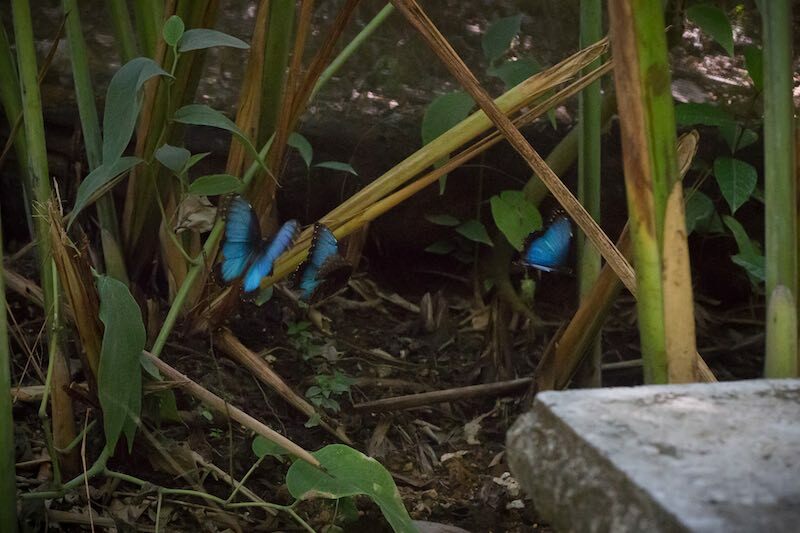 One of the most common species is the Blur Morpho that I have posted about on Instagram. 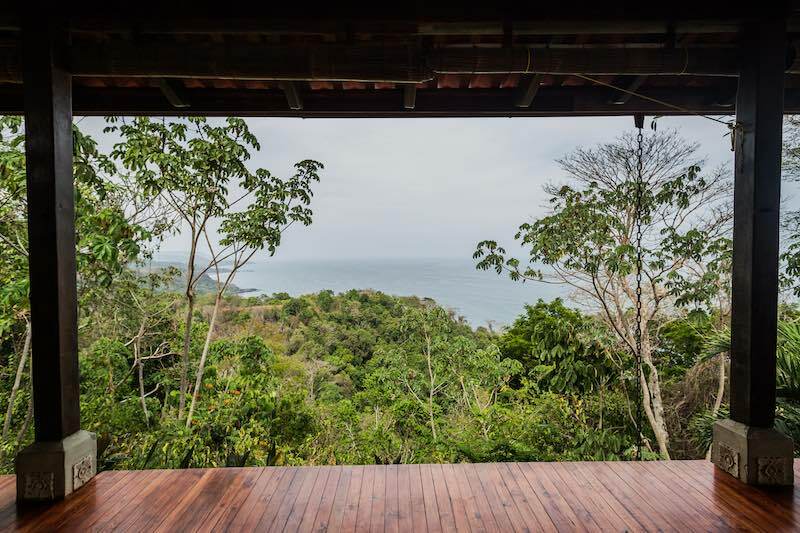 In a previous article we chatted with the, at the time, Toronto based owner of Anamaya Resort, a world-class yoga resort that is situated on one of the most beautiful locations. On top of a hill, overlooking the Pacific Ocean, the many buildings on the campus are beautifully designed and decorated with staircases that surround you like an esher drawing. 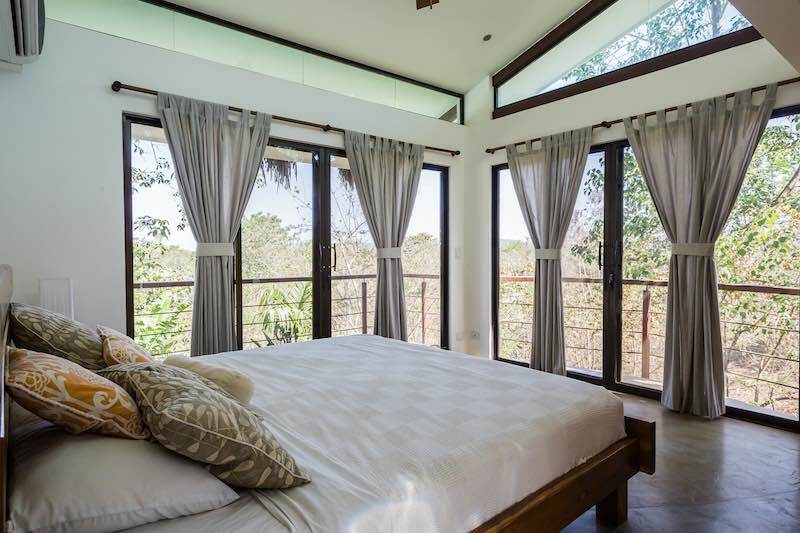 Outdoor Yoga studios litter the property with cabins and tree-top shelters throughout to house the guests. 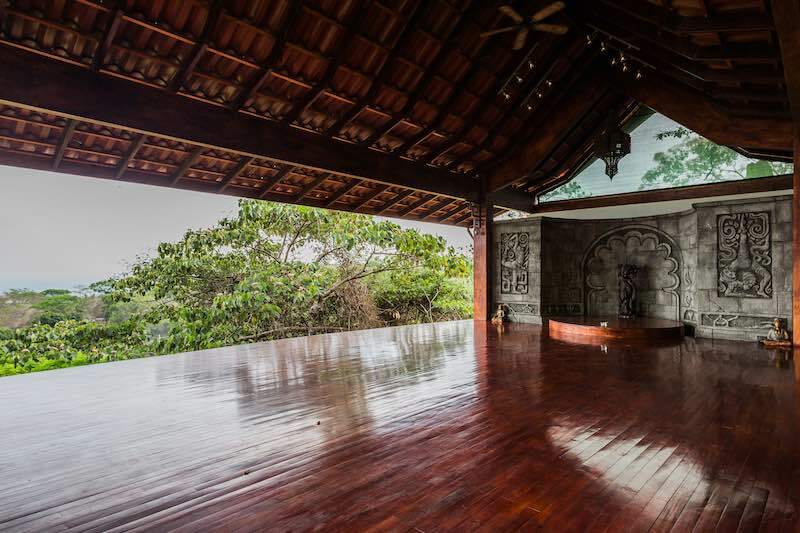 This is one of the most amazing Yoga experiences if you are looking for a retreat. Everyone visiting is there for the same time so you build bonds with others in your group. People were eager to tell me about their great experiences and the healing they felt while staying here. 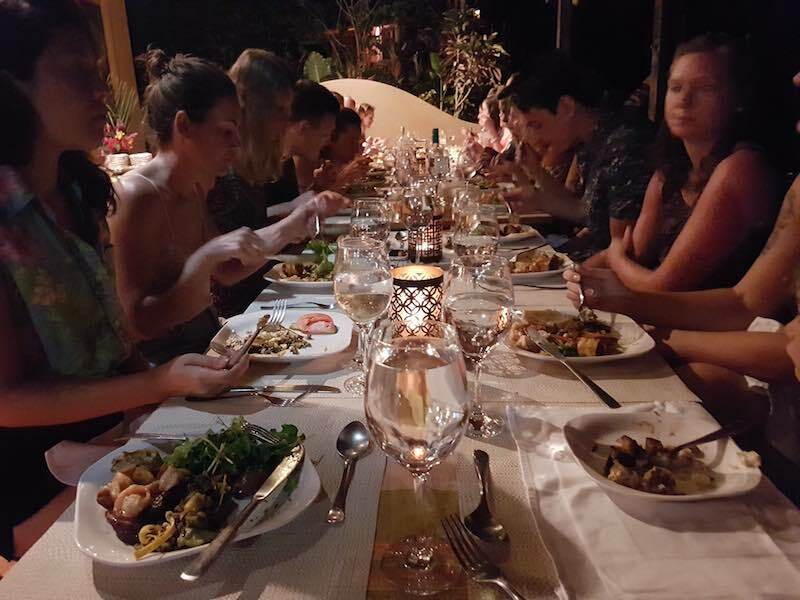 Activities happen daily and live shows and communal dinners take place regularly. Another option is renting a private home. I spent my days in Montezuma in a rental home just down the road. More specifically, Casa Divina. 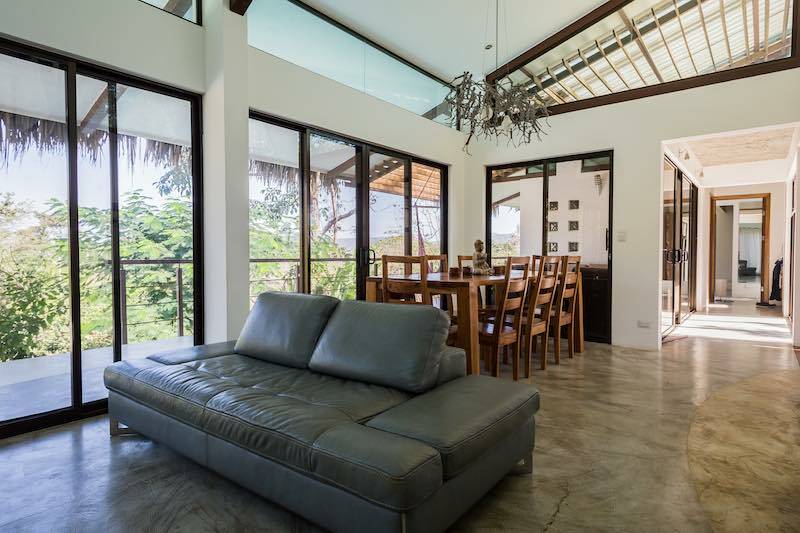 Located just 10 minutes outside the centre of town, Casa Divina is a secluded house with 3 bedrooms that sleeps 8. The whole house can be rented by the room. One room, two rooms or all three rooms can be rented for different price points, you still get the whole house to your self despite only renting one room. This place is so gorgeous. A concrete frame with a salt-water pool and hot-tub lie out back. A driveway with enclosures surrounding the building are in the front. A deck out the 2nd floor of the house looks over the canopy of the trees where animals can be seen and heard throughout the day and night. Upon arrival, your host will greet you at the arranged time, will show you around the complex and leave you to your own devices. The kitchen is fully stocked with utensils and towels are provided for showers, baths or swimming in the pool and hot tub. 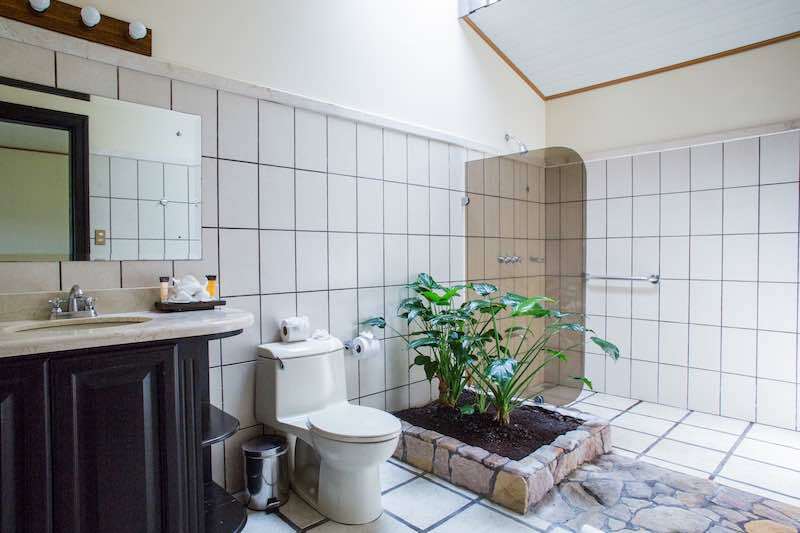 The main bathroom has a jacuzzi tub and the downstairs shower has a walk out to the pool to provide easy cleaning going in and out of the pool. 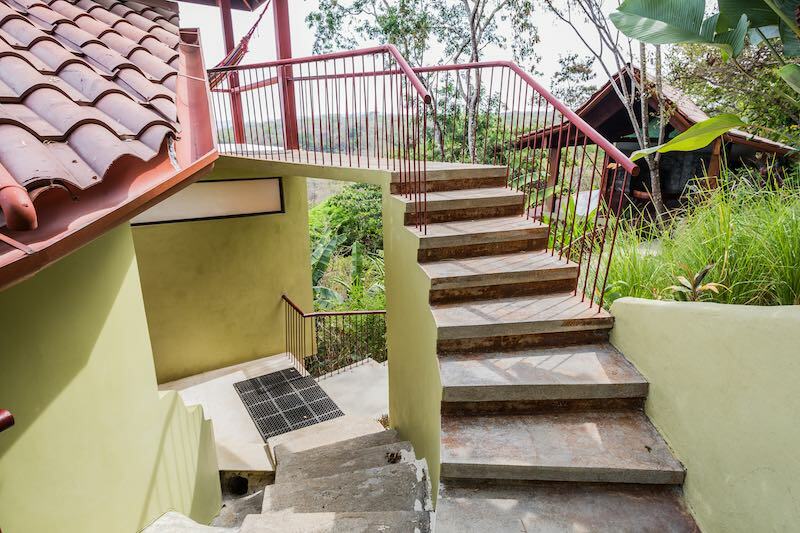 The deck also has patio furniture and a hammock so lounging amidst the tropical rainforests has never been easier and so comfortable. 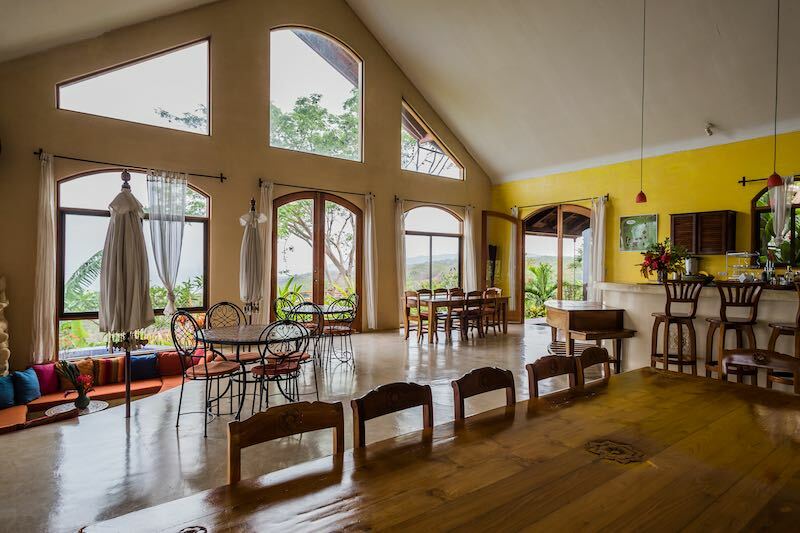 Casa Divina is also very affordable, especially if you rent it out for 8 people. In the off-season it can be rented for as low as $125 American per night for 1 bedroom ad $275 a night for all 3. In peak season, the rates are still good at $175 – $275. 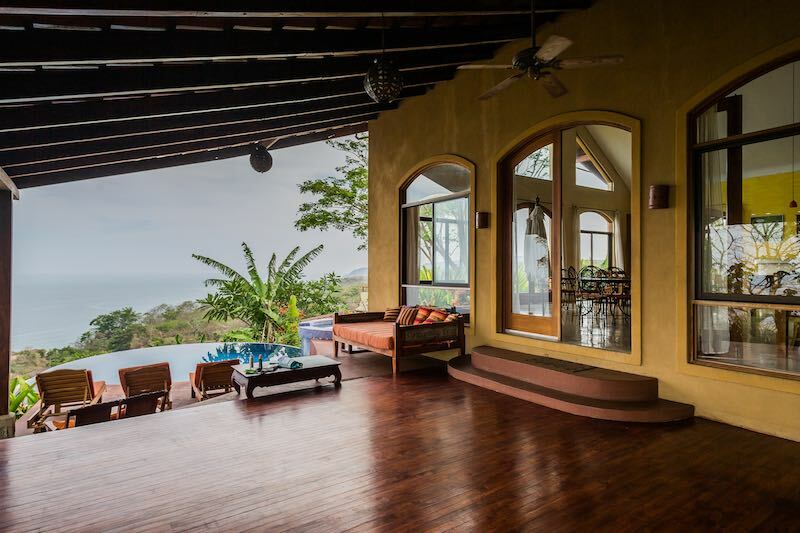 Jaco is located on the other side of the Bay of Nicoya from Montezuma on the south coast of Costa Rica. 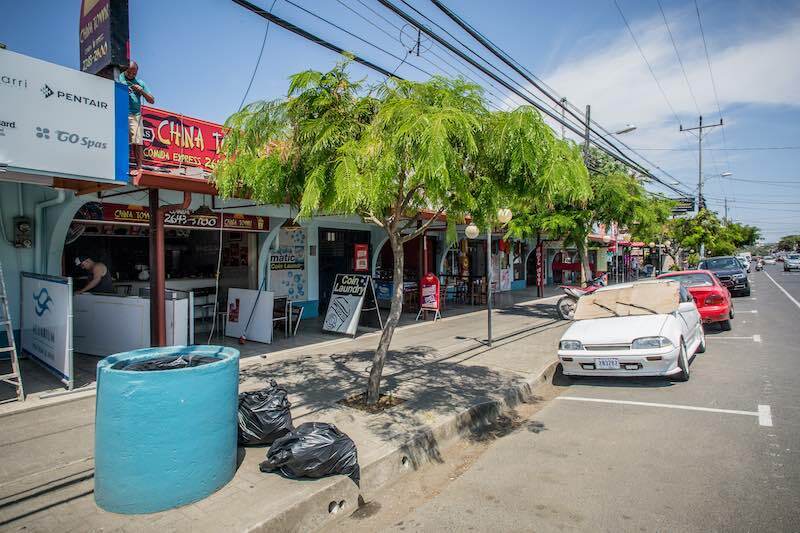 It is a bit of a party town with a single main strip and the main beach that stretches in front of many resorts. It is around 1.5 hours from San José. 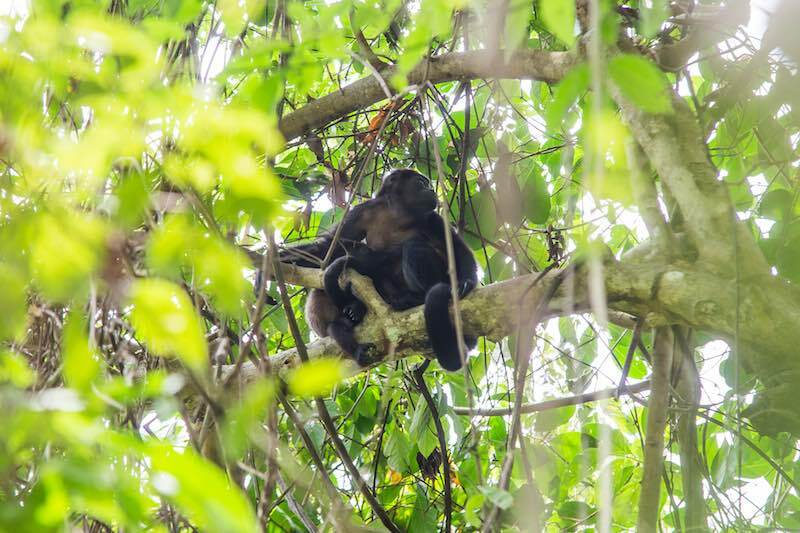 A great attraction to visit while in Jaco is Manuel Antonio National Park which is located about 1 hour drive East from Jaco. 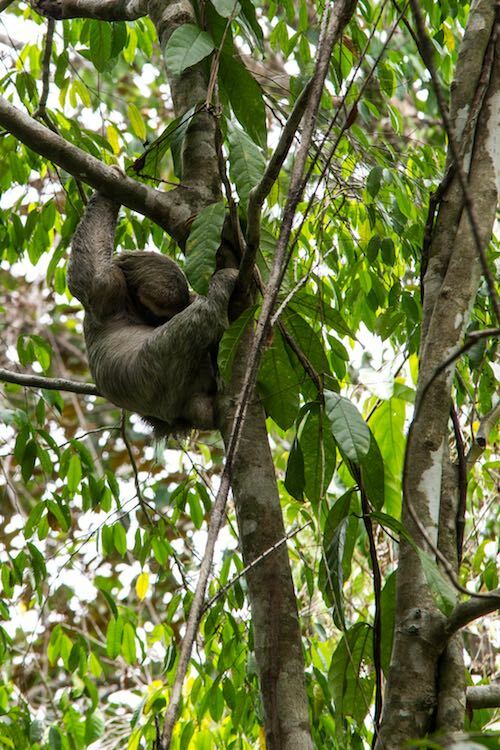 This is where you will want to go to see Sloths, Monkeys as well as deer, birds, crabs, bats and many other species. The park also opens up onto one of the most beautiful beaches in the country. If you are a photographer, be sure to bring a 400mm lens at the least. I had a 200mm and I wish I had a lot more range. I would suggest going on one of the tours. Tour guides take groups of around 5-10 and they are so good at spotting animals. They would need to set up their monocular and point it right at the animal before we could see what he was looking at. The town of Jaco is interesting. It feels geared towards people on party focussed vacations. Many of the bars advertise bachelorette nights and packages. Many of the hotels are self enclosed resorts like the one I stayed at, Croc’s. 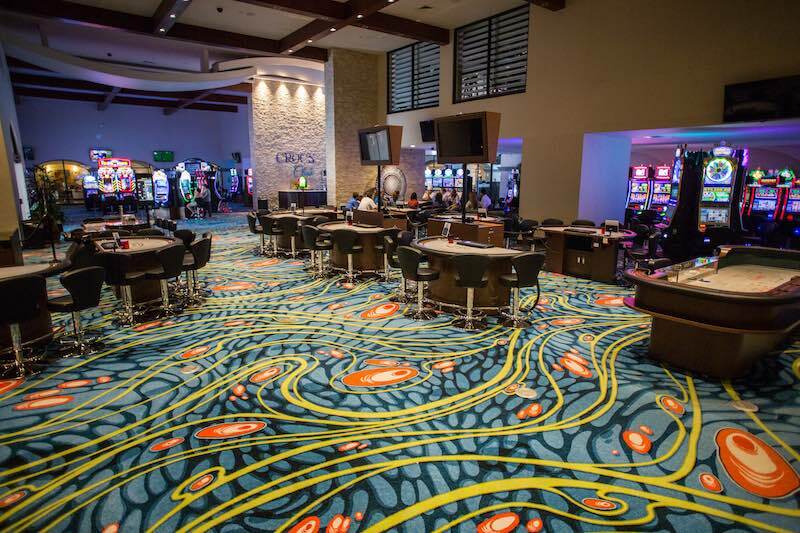 Croc’s Casino and Resort is one of the most well known places to stay in the country. Upon exiting my plane when I arrived, there were advertisements at the airport and outside when I was driving through town. The building is a complex that houses the guest’s rooms, 2 restaurants, a coffee shop, several stores for gifts, drinks, swim wear as well as their own nightclub and their own casino. 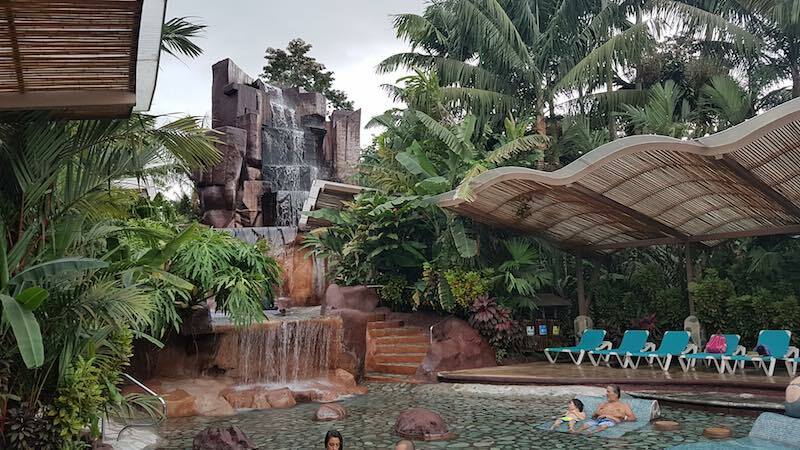 The back of Croc’s opens into their signature pools and bar as well as the glass enclosure that is home to their mascot, you guessed it, a crocodile. Past the pool area, the resort opens onto the beach, a several kilometre stretch of sand faces the ocean here. 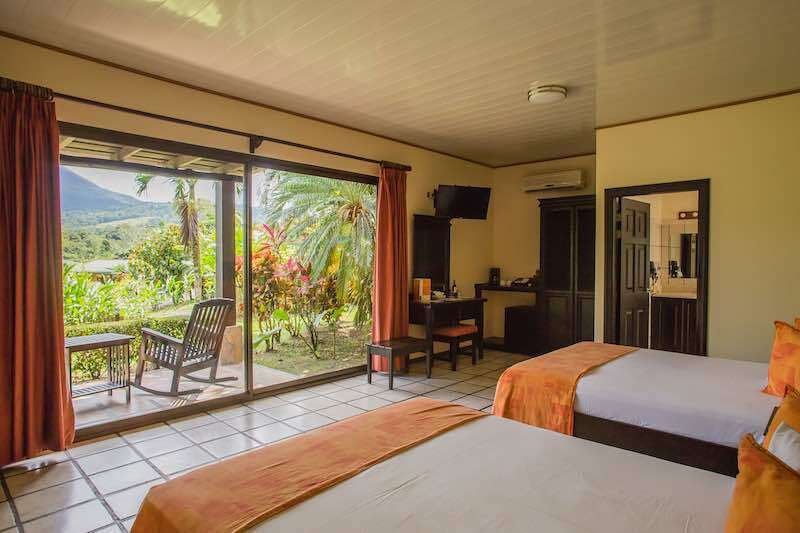 The rooms at Croc’s Resort & Casino are very well kept and impeccably clean. 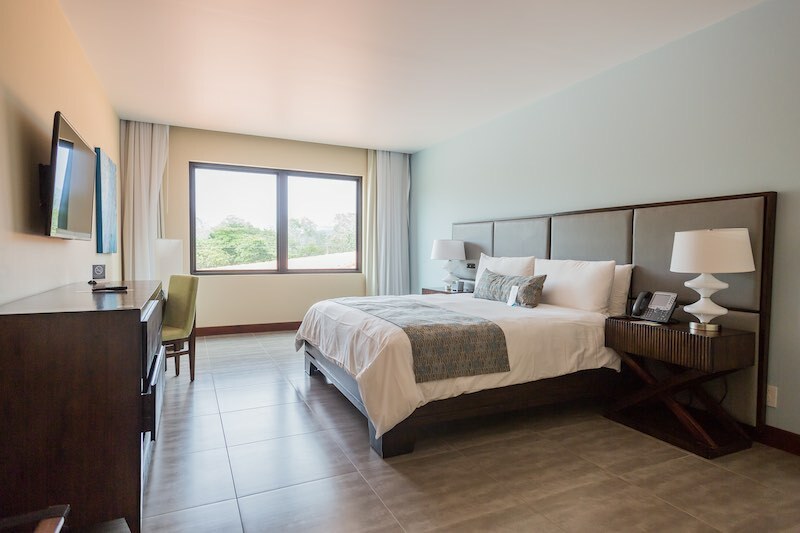 Their cleaning service will clean the rooms during the day while you are adventuring so you will always come back to a perfect room each night. All of the food from the cafeteria can be ordered to your room and there are several english channels on the tv if you want to watch the news or a movie at the end of the day. 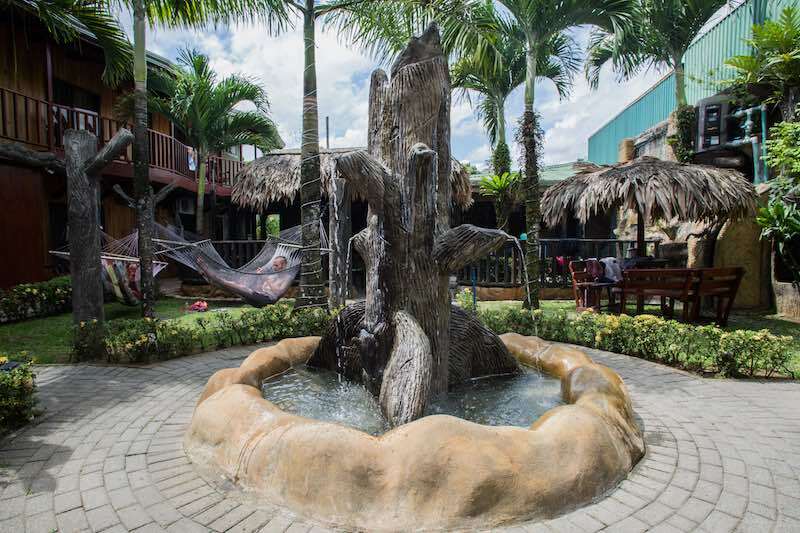 Croc’s is the type of place where you can stay on grounds the whole trip with friends or family and have a good time enjoying the beach front and all of the amenities. There are also many places to explore in the area if you wish to make some day trips. My favourite place in Costa Rica is the mountainous centre of the country that is home to many volcanoes, hot springs and a cloud forest. Welcome to La Fortuna. La Fortuna is a tough drive and I was glad I had my 4×4 at this point. 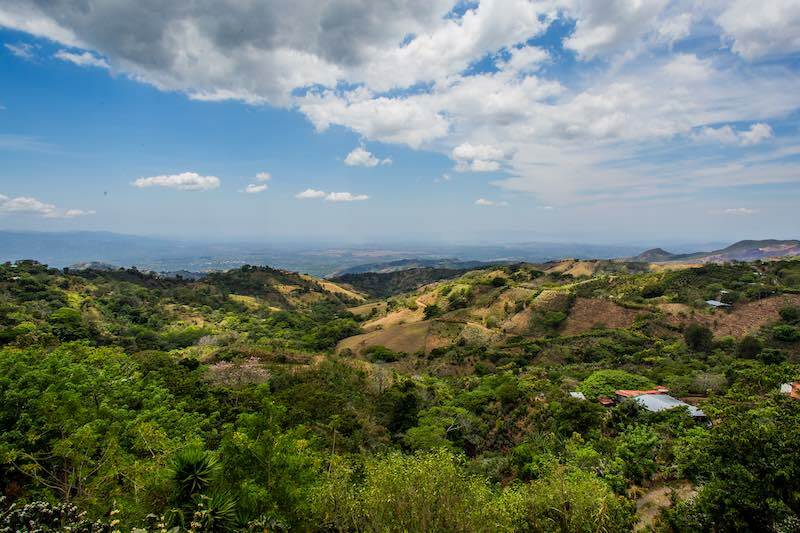 It is about 3 hours from San José and you traverse through many residential towns on the edges of hill and mountain-sides. Costa Rica’s largest lake is located here, Laguna de Arenal The lake is situated at the foot of the Volcán Arenal and Cerro Chato, another volcano. The climate here is a lot different than the towns along the pacific coast. The weather was more unpredictable here, though in Costa Rica it always seemed unpredictable. Clouds and sun came and went throughout each day. 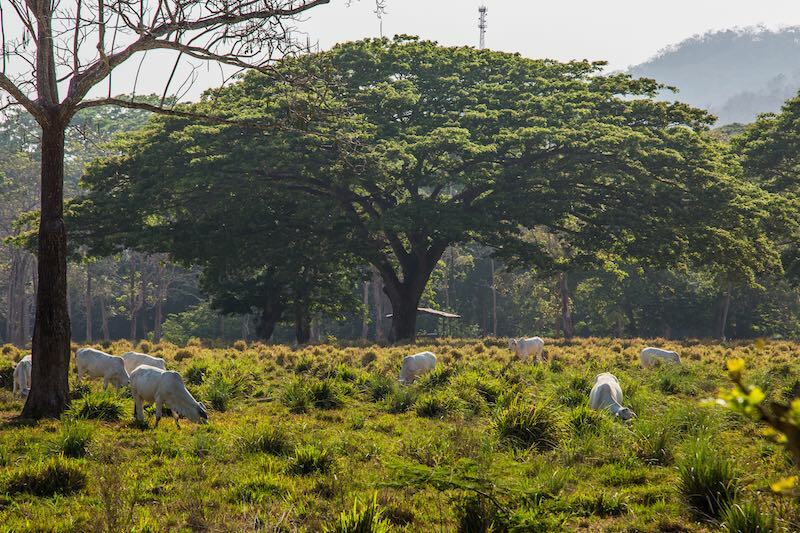 The lush landscape was a nice change from the dry grounds I had visited around Jaco and Montezuma. 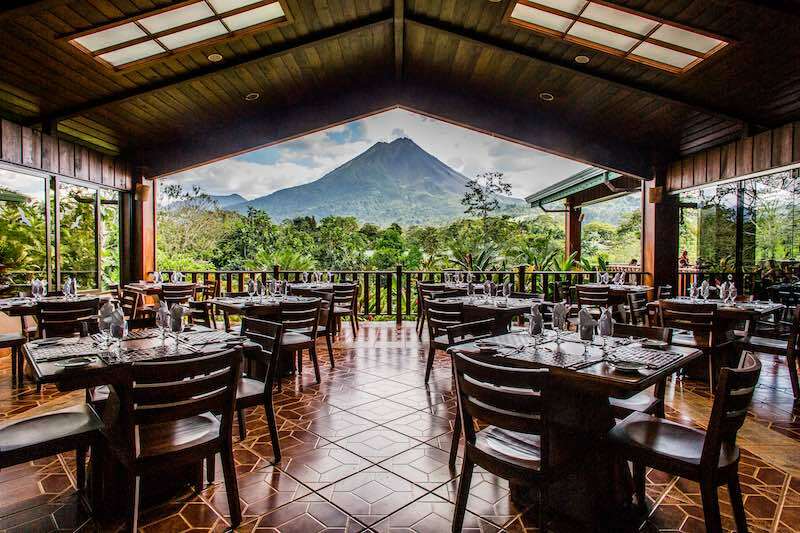 Everywhere you look in and around La Fortuna you have the beautiful backdrop of the Volcán Arenal. I came away with so many great images due to the fact that this epic volcano was accompanying every scene. I also have a love affair with a resort here. 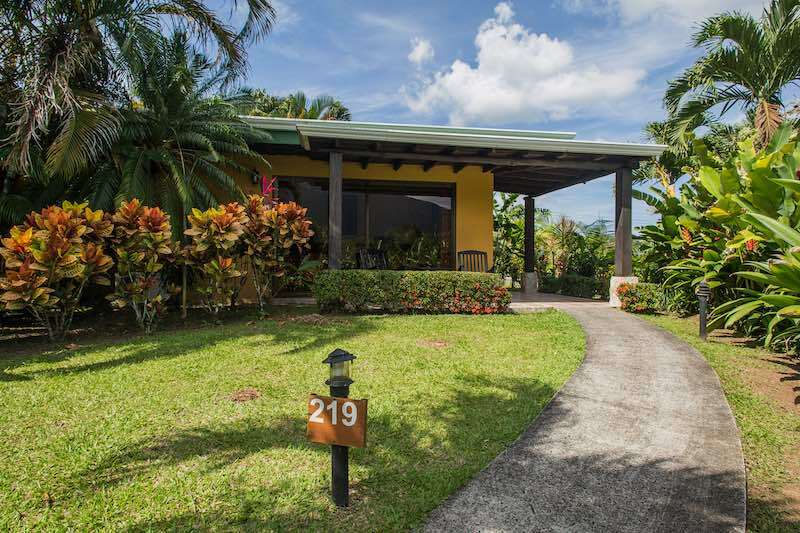 Unlike the one-building resort style of Croc’s, Arenal Manoa is a vast grounds like a campus that houses many individual cottage and houses. Other amenities include a hot springs pool area and a normal pool area. There is a spa as well as a nice restaurant that serves breakfast, lunch and dinner. Views from all the attractions on campus have stunning views of the lush landscapes and of course the volcano. My room had its own entrance and path from the street. 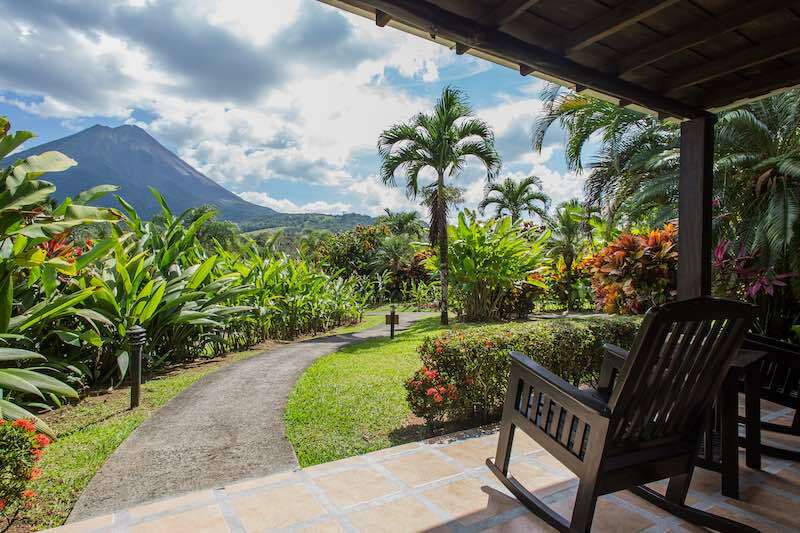 Two beds in the room and a walk-in shower with a stone floor in the washroom were on the inside while two deck chairs rested out front with a stunning view of Volcán Arenal. Yes, I could see this view from my bed as well. 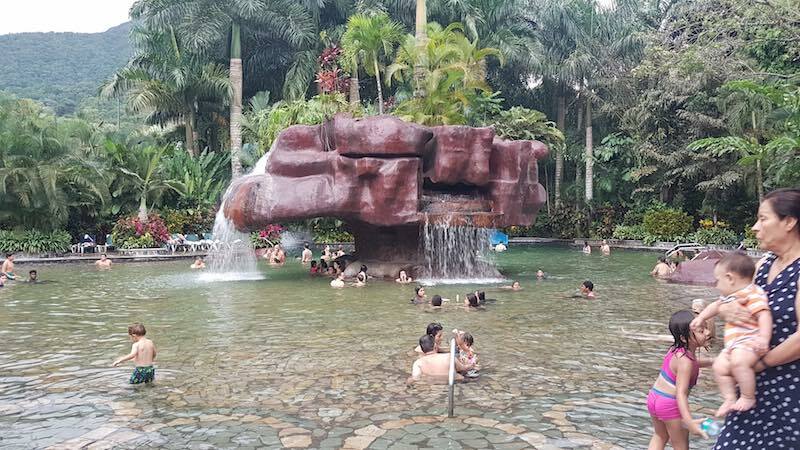 One of the coolest places to visit is Baldi Hot Springs, this is like a Wild Water Kingdom, tropical hot springs style. Many levels of pools from luke warm to hot rise up from the entrance, each with their own design and attraction. Water slides and bars also spot the grounds and pools for the kids to anxious to sit still and adults looking to relax with a beer. 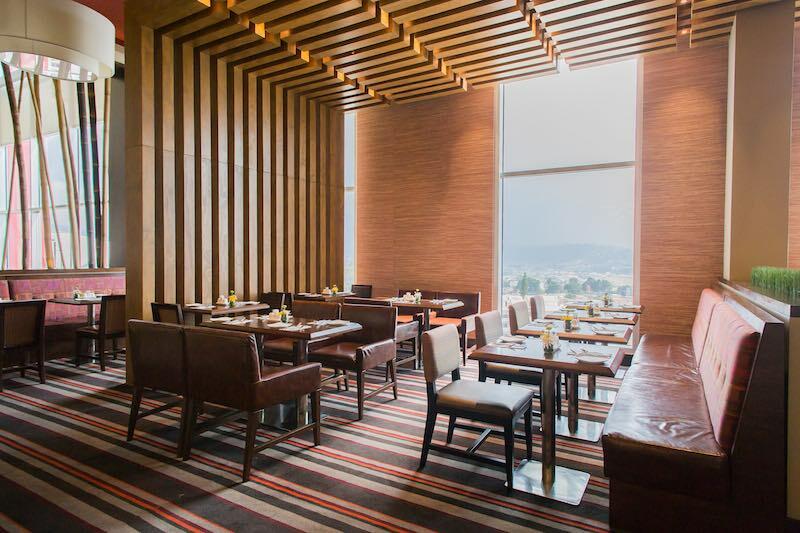 There is also a restaurant on the grounds and many people get the dinner included package and stay for the buffet style meal in their semi-outdoor food hall. 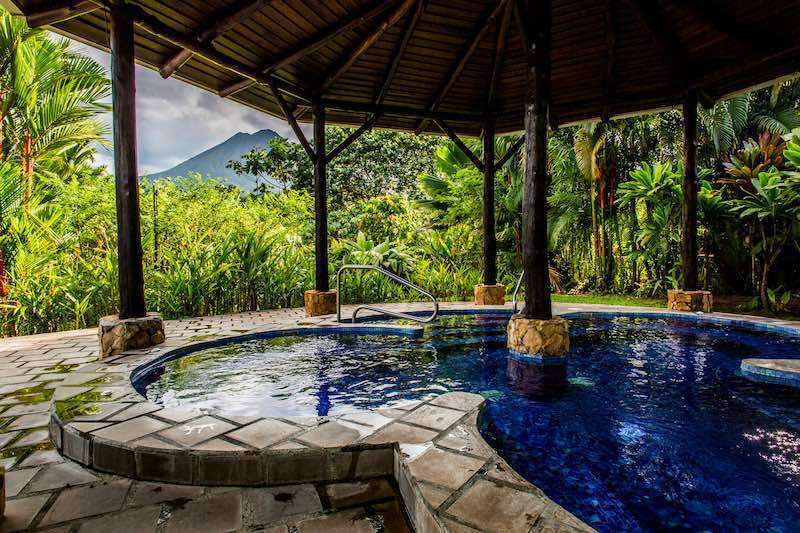 Taking the tour up to Cerro Chato volcano and its pool at the top as well as finding viewpoints of the Volcán Arenal are big draws to the area. 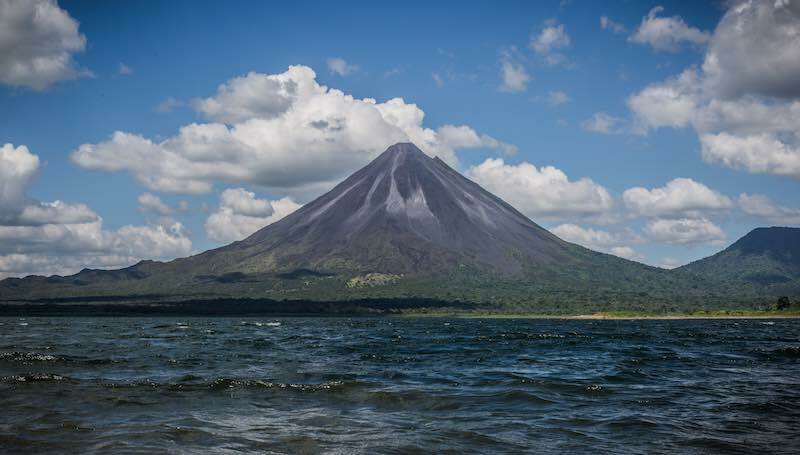 Be sure to visit the Laguna de Arenal and catch the view of the volcano from there. 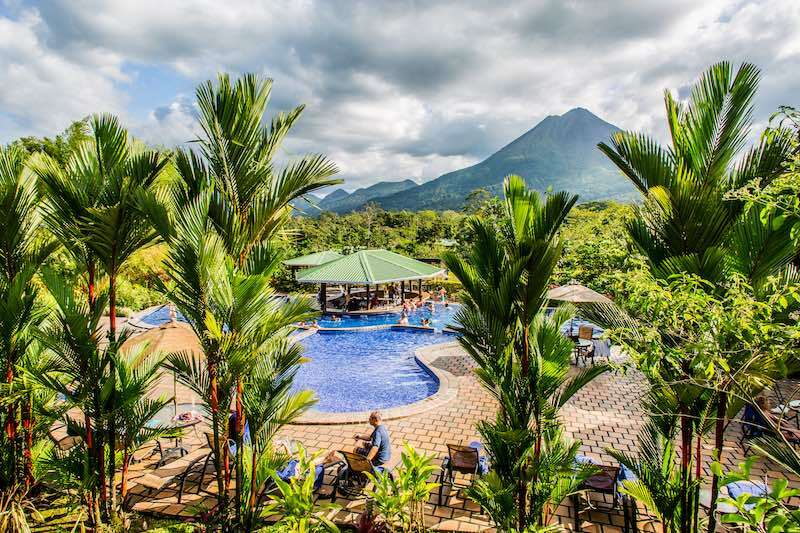 If you are a backpacker and wish to stay somewhere with other young travellers, be sure to check out Arenal Hostel Resort. 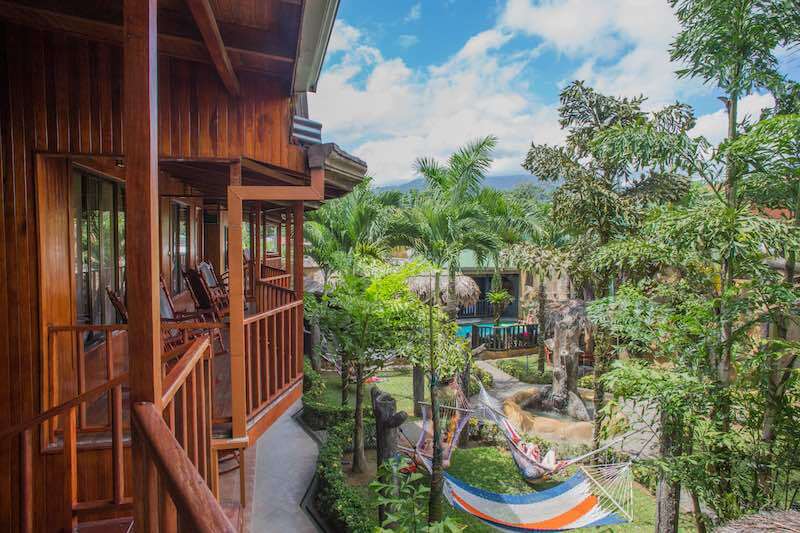 This mini-paradise has a lot of young backpackers and has a pretty cool interior. It is also located along the main strip of the town of La Fortuna. I only stayed in the capital of Costa Rica, San José, for night I arrived and the night before I left. Arrival and departure times are usually late in the evening and early in the morning respectively so it is usually easier to find somewhere to spend the night in the city. 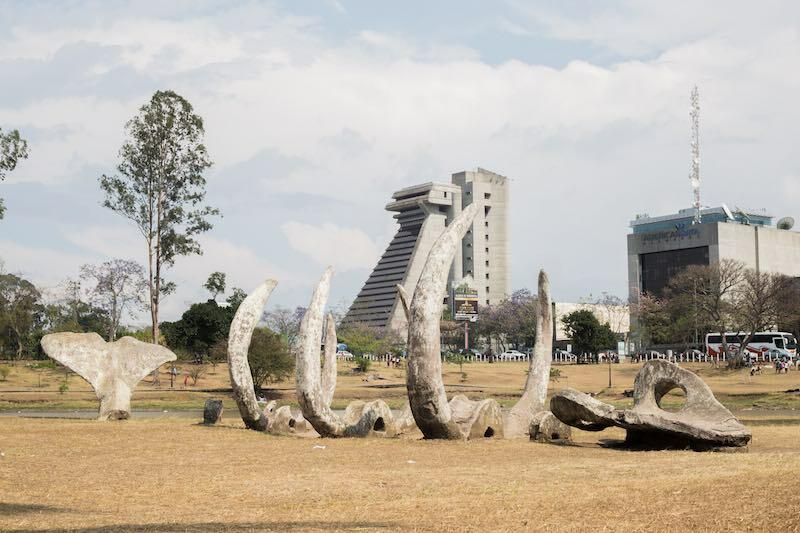 The city has a great park in the centre called the Parque Metropolitano La Sabana. It features, pony-rides, soccer and baseball fields, a man made lake in the centre as well as art installations. 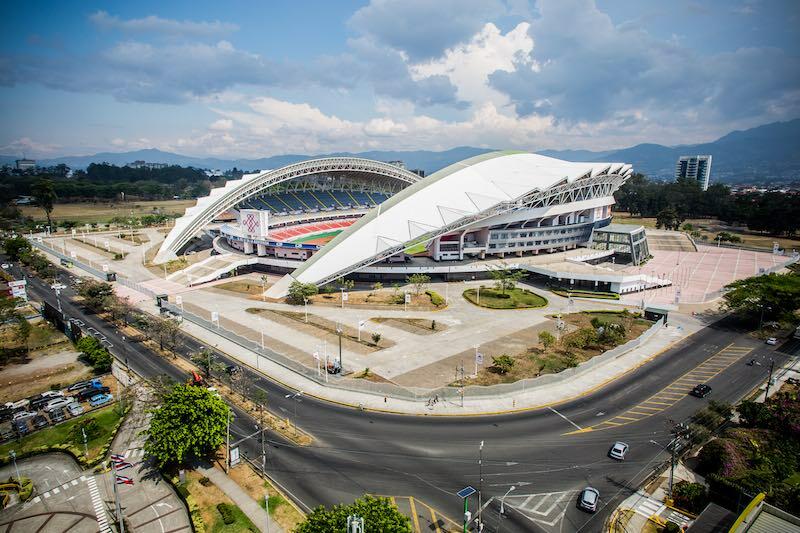 The Costa Rican National Football (soccer) stadium is here as well. 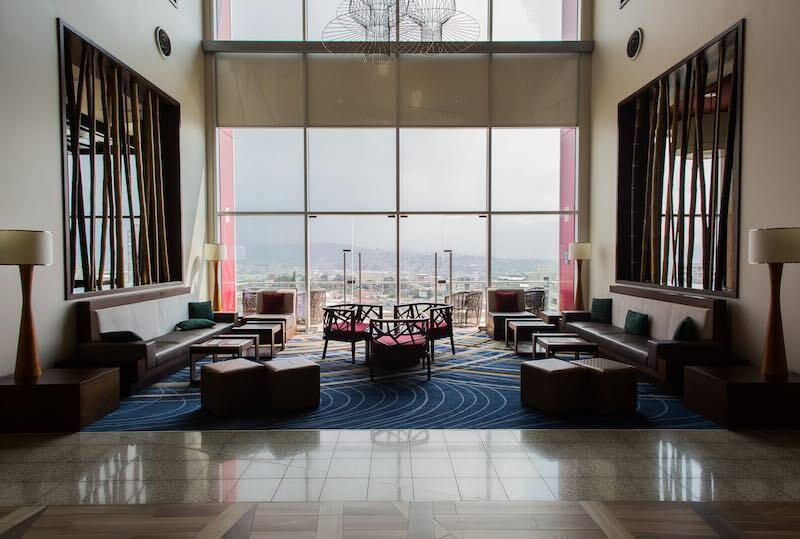 To get a good shot of the building I visited the Hilton Garden INN San José La Sabana that starts their floors on the 11th, allowing for magnificent views of the city and La Sabana Park. If you are looking to stay somewhere in a great location, be sure to check them out. 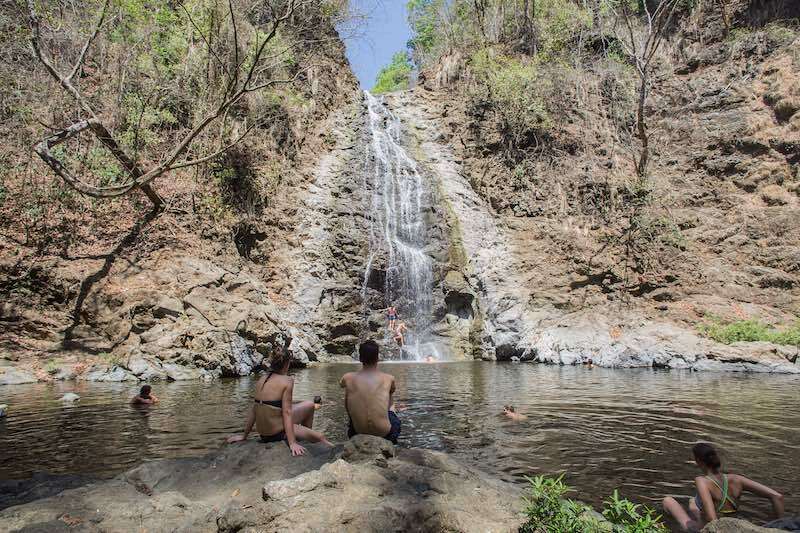 If you are looking for a tropical destination with cheap flights that flies direct from Toronto and Canada, Costa Rica may be your best bet. It is a progressive and very friendly country with many beautiful sites and coastlines to visit. The vast amount and variations of accommodations will leave you with plenty of choices for whatever you are looking for. 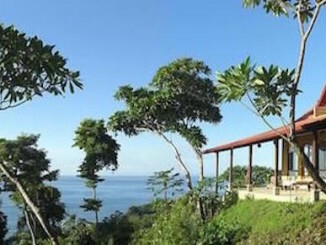 For more information, be sure to visit the Costa Rica tourism website.